Men’s Volleyball lost to Lancaster Bible College 3-0 (25-22, 25-20, 25-17). Matt Knab led the Falcons with nine kills, and Will Webb added seven more. Brad Nase distributed 23 assists in the loss. Over the weekend, the Falcons fell to Geneva College 3-1 (25-16, 25-21, 21-25, 25-18). Knab had 16 kills and Noah Shreiner added nine. Women’s Basketball defeated Lycoming College on Wednesday 70-43. Alecia Rohrer led the way with 22 points and 18 rebounds. On senior day, the team beat Albright 74-47. Maci Thornton recorded 25 points, 15 of those coming from beyond the arc. Becca Isaac and Rohrer also dished out four assists each. Men’s Basketball beat the Lycoming Warriors on Wednesday with a score of 57-52. Matt Glogowski scored 21 points while Josh Darville recorded 10. 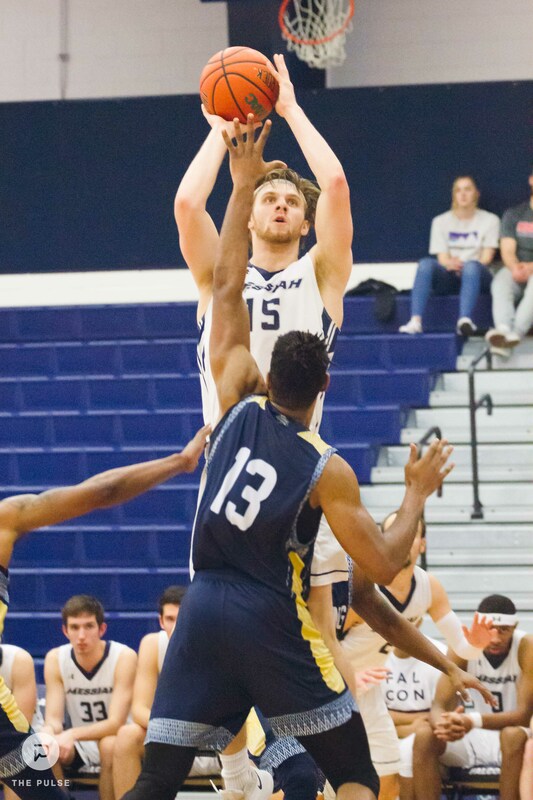 On Saturday, the men lost to Albright College 82-74. Colin Sareyka led the Falcons with 20 points, six assists, and four steals. Wrestling beat Elizabethtown 29-13 on Friday. Josiah Gehr and Dalton Daugherty began the match with decisions over both of their opponents, giving the Falcons a quick start, and they never looked back. The following day, the Falcons fell to The College of New Jersey 34-7. Gehr and David Stevens both defeated their opponents. Women’s Basketball vs Lebanon Valley College 6:00 p.m.
Men’s Basketball vs Lebanon Valley College 8:00 p.m.
Wrestling vs McDaniel College 7:00 p.m.
Men’s Volleyball @ Cairn University 7:00 p.m.
Softball @ Methodist University 11:00 a.m./1:00 p.m. Baseball @ Roanoke College 12:00 p.m.
Women’s Lacrosse @ University of Scranton 1:00 p.m.
Men’s Lacrosse vs Gettysburg College 1:00 p.m.
Men’s Volleyball vs Misericordia University 1:00 p.m. Baseball @ St. John Fisher College 3:00 p.m.
Men’s Volleyball vs Widener University 5:00 p.m.